I have got to wake up. I’m so very tired. All the shows on this tour have been going really well with only two show were the audience wasn’t great in numbers (you were all great in all other aspects! ), but I feel like this tour is just passing over me and I just happen to be there. I think I’ve underestimated just how much energy the last months have required. Releasing the record, organising the tour and especially the build up to the London and Berlin release gigs have left me craving a holiday – a sensation I actually haven’t felt in five years. This is, however, by no means a complaint. Everyday is so exciting at the moment and I’m truly having a great time, I just wish I’d be a little more present to take it all in. 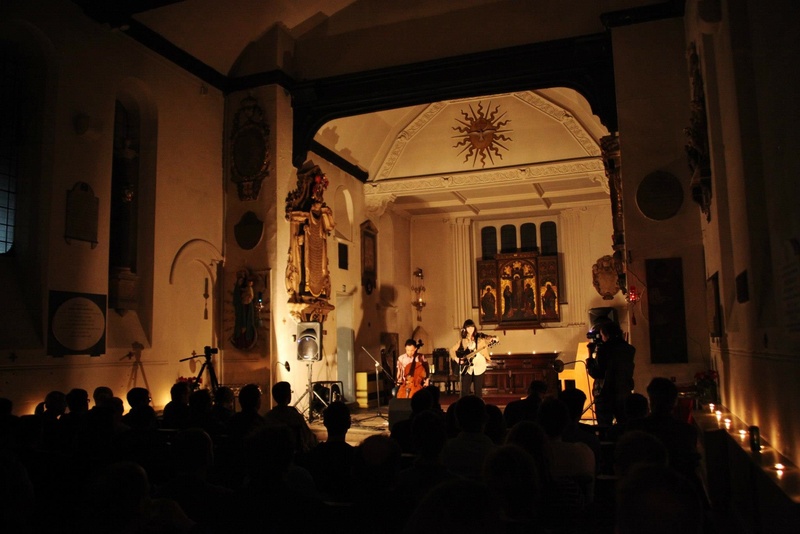 Especially as the London release gig at the Old St. Pancras Church was one of the most rewarding days of my life. I’ve been making music in the UK now for five years. London is not an easy town to be in, it’s almost as if the city does its best to deter travellers flocking to the capitol by making it nigh impossible to live here. I mean LIVE, as in having a space to call your own and a means of transport that doesn’t eat up most of your paycheck. London doesn’t care whether you’re there or not. A friend of mine often says: “One doesn’t live in London, one just tolerates it”. That being said, we come here by the millions, using up all our energy to try and carve just a little corner out for ourselves in this competitive city, bursting at the seams with song-writers, bankers, sellers, takers, leavers, travelers, painters and actors. I’ve played so many shows in London, but the release gig was different. I realise now that subconsciously this gig was a ‘make or break it’ situation. Guess what? We made it and I have you to thank. Firstly, I’m so happy to have had such great musical support from Alice Phelps and Rob Marr. 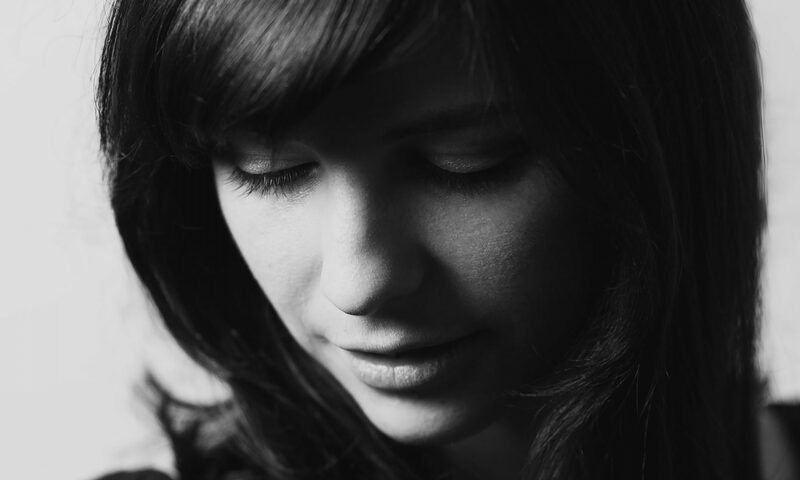 Thank you so much to both you for playing – Alice, you’re just such a cool lady – I can’t wait to play some more music with you when I’m back in town and Rob, you’re voice is so beautiful, I really felt privileged to have you there. Although it certainly added pressure, it was great to host the night, meaning amongst other perhaps less trivial things that I could choose which music was played between the live sets. In case you were wondering what the hell we were listening to, it was Anais Mitchell’s folk opera Hades-town and George Martin’s arrangement to Yellow Submarine, which I don’t think I’ve ever heard outside of my humble four walls. I also stuck in a couple of songs from my New York friends Laura Meyer and Jasper Lewis towards the end. Thank you so much for being there. I was surprised to see so many new faces on the night of the record release and I was very touched to have the usual crowd of supporters there too. I know there was a lot going on in and outside of London that day, so thank you very much for choosing to join me for the show – I really can’t adequately express how much that meant to me. Standing outside of the venue after the show was just one of those rare and sparkly moments where all the weight is lifted off your shoulders and all the hard work is rewarded. Instant gratification is no good – it’s these small, long-time-coming moments that matter. Thank you very much to Brendan and Joel from St. Pancras Old Church, thank you to Chris for filming the show (footage to be shared soon! ), thank you to my cello player extraordinaire Raphael for joining me and generally being awesome and most importantly thank you for coming. I hope you enjoy the album and I hope to see you again soon. Fantastic show Roxanne, and really enjoying the album. My Shield is the current favourite. Good luck with the rest of the shows. Happy travelling! Thank you Martin! Glad you’re enjoying the album!